Restaurateur Peppe Iuele and partners Enzo Ruggiero and Pino Coladonato, with Interior Designer Libby Langdons’ help, have brought the Italian countryside to Manhattan in form of their restaurant “La Masseria”.  In the Puglia Region of Italy the masseria is the heart of any large working farm. It’s the building where produce is preserved and where everything, from tools to live animals, is housed. Inspiration for our restaurant La Masseria comes from these ancient farmhouses, where classic dishes utilized the freshest natural ingredients harvested from land and sea. Ripe with all the delight nature has to offer, the fertile southern Italian land produces superb wines and olive oil, the farms yield rich organic grains and vegetables, and the seas are teeming with fish, shellfish and crustaceans. This region’s simple, authentic style of cooking is an integral part of the masseria culture, and is the cornerstone of New York’s newest dining experience. Enzo Ruggiero has known Peppe since they were children growing up in Capri. Enzo’s passion extends beyond food to wine. In his childhood his grandfather used to take him to local vineyards where they would stomp grapes to make the family wine. Passionate about pairing the perfect wine with the right dish. “I have traveled throughout southern Italy to find vineyards producing a collection of lesser known wines, like the Falanghina from Campania”, Enzo says. The wine list of La Masseria is extensive and with Enzo’s expertise there’s sure to be a fabulous find for everyone. Interior Designer Libby Langdon has created a warm, inviting dining atmosphere reminiscent of a true masseria. “We wanted rustic-and-relaxed with plenty of old world charm,” notes Libby, “using a wide mix of textures was also important in achieving the restaurant’s theme.” Oversized iron sconces, designed by Langdon and custom made from antique wrought iron gates, punctuate the newly burnished walls. Artful displays of antique farm tools are mixed with authentic Italian photographs. Libby and the owners selected all stones framing the arched wines bins. The eight-foot chandelier at the rear of the restaurant was also designed by Libby. The fixture features three antique wagon wheels with a total of 30 lights. Libby’s design presents an outstanding blend of rural Italian style, nostalgia and charm. The perfect setting for La Masseria’s exceptional cuisine.